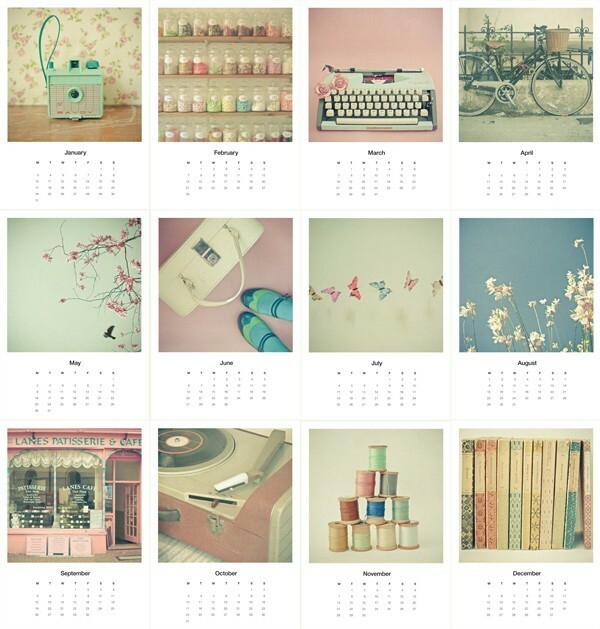 I found the perfect calendar for 2011: Lola's Room mini calendar. This mini calendar contains 13 (including cover) unbound 5 x 7 prints of the cutest photographs, each representing a separate month. I love the vintage camera photo for January. The great thing about the calendar is that you can use them anywhere in the home and when the month comes to a close, you can keep the images for framing and decorating the home. Added bonus: all images have a white border making them easy to frame!